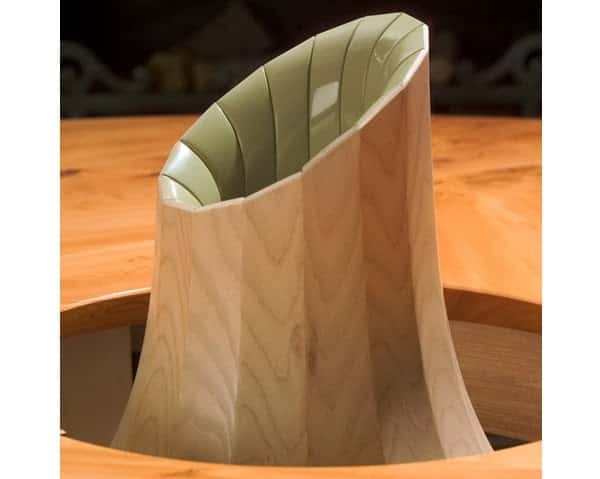 Irish designer Joseph Walsh works with wood to create amazing, unique furniture. 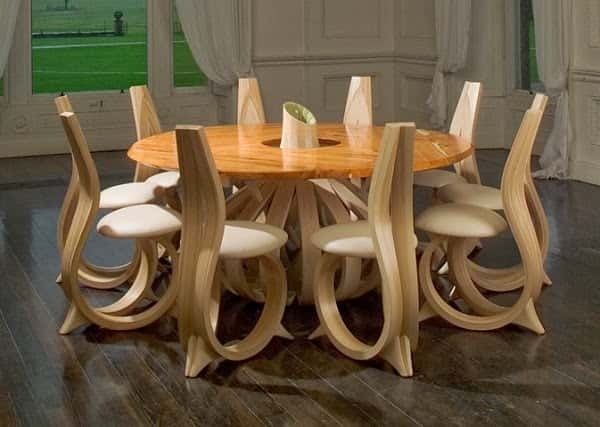 This Unique Bulb Table is inspired by nature and it features clean natural curves. Joseph achieves this stunning effect by employing an interesting woodworking method. He cuts the wood into piece that are easily pliable and bends it into shape. The central table support is designed to resemble a bulb. The technique used is very time consuming. It is certainly worth it though, as the result is stunning. 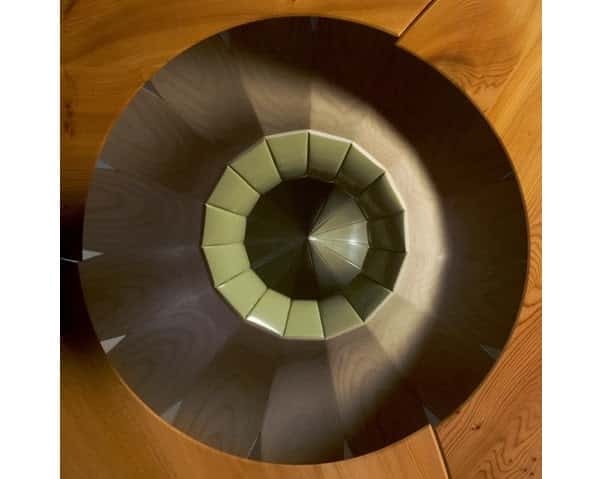 All of Joseph's designs are inspired by nature and feature the same unique appeal as this table. His work is absolutely amazing and worth checking out!